CAPE CANAVERAL, Florida -- Amazon's CEO Jeff Bezos announced yesterday that the components of the Saturn V first stage F-1 rocket engines recovered from 14,000 feet below the Atlantic Ocean's surface are confirmed Apollo 11 mission artifacts. 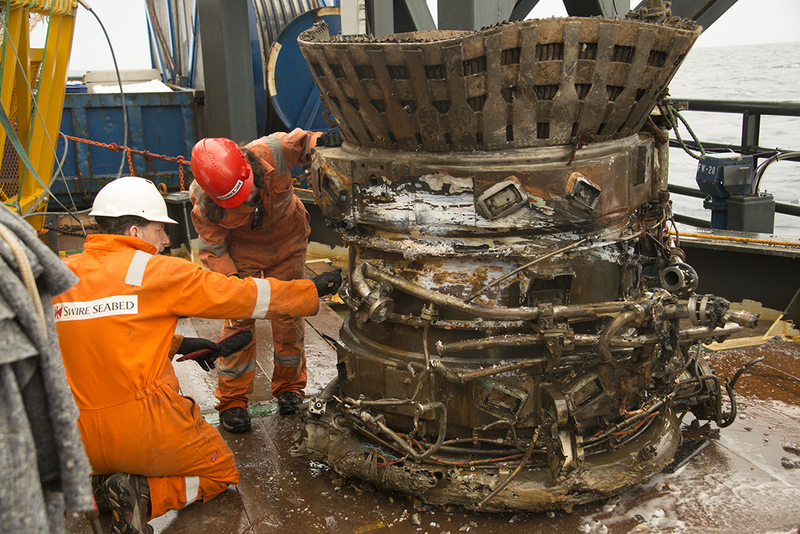 "When we stepped off the Seabed Worker four months ago in Port Canaveral, we had enough major components to fashion displays of two flown F-1 engines," Bezos wrote. "We brought back thrust chambers, gas generators, injectors, heat exchangers, turbines, fuel manifolds and dozens of other artifacts – all simply gorgeous and a striking testament to the Apollo program. There was one secret that the ocean didn’t give up easily: mission identification. The components’ fiery end and heavy corrosion from 43 years underwater removed or covered up most of the original serial numbers. We left Florida knowing the conservation team had their work cut out for them, and we’ve kept our fingers crossed ever since." "Today, I’m thrilled to share some exciting news. One of the conservators who was scanning the objects with a black light and a special lens filter has made a breakthrough discovery – “2044” – stenciled in black paint on the side of one of the massive thrust chambers. 2044 is the Rocketdyne serial number that correlates to NASA number 6044, which is the serial number for F-1 Engine #5 from Apollo 11. 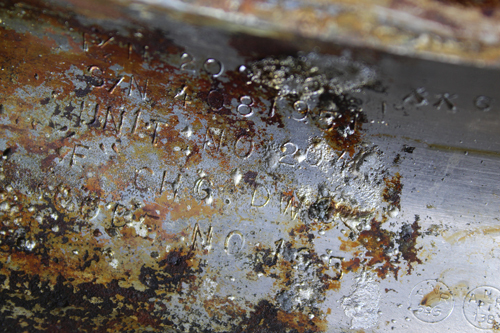 The intrepid conservator kept digging for more evidence, and after removing more corrosion at the base of the same thrust chamber, he found it – "Unit No 2044" – stamped into the metal surface." It was over a year ago that Bezos announced the discovery of the rockets. NASA Administrator Charles Bolden later said he supported the effort which did not receive any public funding. “NASA does retain ownership of any artifacts recovered and would likely offer one of the Saturn V F-1 engines to the Smithsonian Institution’s National Air and Space Museum in Washington under long-standing arrangements with the institution as the holder of the national collection of aerospace artifacts," said Bolden. Bolden said that NASA would work to try to have the other engine made available for display at the Museum of Flight in Seattle, Washington, which Bezos had requested. "Millions of people were inspired by the Apollo Program. I was five years old when I watched Apollo 11 unfold on television, and without any doubt it was a big contributor to my passions for science, engineering, and exploration," Bezos wrote over a year ago. "NASA is one of the few institutions I know that can inspire five-year-olds. It sure inspired me, and with this endeavor, maybe we can inspire a few more youth to invent and explore."